GHENT, Belgium -- A union boss at Ford Motor Co.'s factory in Genk, Belgium, said he failed to win assurances about the plant's future at a meeting with the automaker's European management. Ford is looking at ways to deal with excess production capacity in Europe where it expects to lose more than $1 billion this year as new-car sales slump amid the region's economic woes. The Genk factory, which builds the Mondeo mid-sized car and S-Max and Galaxy minivans, is a potential candidate for closure, the Wall Street Journal reported on Thursday, citing a person familiar with the matter. Union officials from Genk met with Ford of Europe CEO Stephen Odell at the company's European headquarters in Cologne, Germany, after the report was published. "We didn't receive any reassurances on the future of the Genk plant," Rohnny Champagne, a spokesman for Genk's ABVV union, told Automotive News Europe. "Mr. Odell told us that he could not give any guarantees. He also explained he received a lot of comparable requests from unions in the other European production facilities and gave them the same answer." Champagne said he expects production of the new Mondeo to begin in Genk next October after a six-month delay, a conclusion reached by union officials from a presentation Ford gave to labor leaders in Cologne. Ford would not comment on rumors that production of the new S-Max and Galaxy would be delayed until 2014, he said. A Ford of Europe spokesman said it was too soon to talk about the automaker's plans to deal with the European slump. "We will continue to implement our plan to match production to demand, improve net pricing through new vehicles and strengthen the brand. We will also reduce our costs and look for opportunities to grow our business where it makes sense," the spokesman told Automotive News Europe. Auto sales in Europe have collapsed to their lowest level in 17 years and are running at less than a 14 million annual rate. Ford CEO Alan Mulally told Bloomberg News on Sept. 7 that automakers producing vehicles in Europe had match capacity to real demand, but said that Ford has no announcements to make yet on how it will deal with its overcapacity. Ford is utilizing just 63 percent of its factory capacity in Europe, according to Morgan Stanley. In order to be profitable, auto factories must operate at 80 percent of capacity or above, according to analysts. 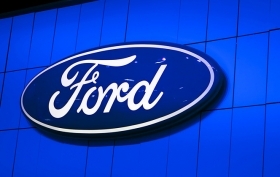 Morgan Stanley analyst Adam Jonas estimates Ford's European losses could reach $2 billion this year.